Portable building sales in Snyder, Texas! Derksen portable buildings can be delivered to your Snyder location! We have many happy customers in the Snyder, Texas area. If you need a portable building or cabin delivered to the Cline Shale oilfield - contact us soon. Free delivery within 50 miles of our local delivery point. Call for free delivery information. 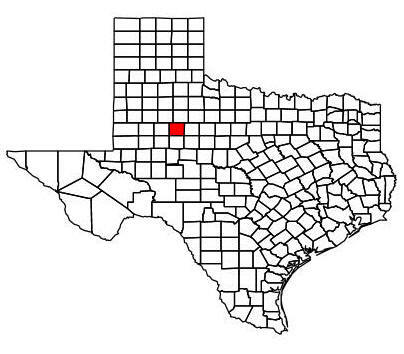 Snyder is a city in, and the county seat of, Scurry County, Texas. Snyder is named for merchant and buffalo hunter William Henry (Pete) Snyder, who built a trading post on Deep Creek in 1878. It soon drew fellow hunters and a small settlement grew up around the post. The nature of those early dwellings, mostly constructed of buffalo hide and tree branches, led to the communities first, if unofficial, name of "Hide Town". Another early name, "Robber's Roost" is said to owe its beginnings to the sometimes nefarious nature of a few residents and a lack of law enforcement. A statue of an albino buffalo on the grounds of the Scurry County courthouse in Snyder pays homage to the towns beginnings as a buffalo trading post. Snyder predates Scurry County itself by two years, with a town plan being drawn up in 1882 while the county wasn't organized until 1884. A population of 600 was reported in 1892, with a school, two churches, a grist mill, steam gin, two banks and two weekly newspapers being part of the community. Significant change happened in 1907 when Snyder was granted a city charter, and construction began on the Roscoe, Snyder, and Pacific Railway. The 1910 census indicated Snyder had grown to a population of 2,514. The Atchison, Topeka & Santa Fe Railway tracks reached Snyder in 1911, spurring further growth. Ranching and farming were the primary economic backbone of Snyder through the first half of the 20th century. This changed in 1948 when oil was discovered in the Canyon Reef area north of town. Snyder became a boomtown as the population jumped to approximately 12,000 in just a years time. By the time the boom ended in 1951 an estimated peak population of 16,000 had been reached. This soon decreased to the 10,000 to 11,000 level and stabilized. Although the boom was over, oil still remained a vital part of the local economy, with the Snyder area being one of the leading oil producing areas in Texas. In 1973 the one billionth barrel of oil was pumped from the nearby oil field. An industrial base was established in the 1960s and early 1970s, diversifying the towns economy and making it less susceptible to cycles of boom and bust. Higher education came to Snyder in 1971 with the founding of Western Texas College. A community college, Western Texas offers Associate of Arts degree programs as well as vocational program certifications. Enrollment in 2009 was over 2,500 students. The Scurry County Coliseum in Snyder, operated by Western Texas College since 2008, is a large arena which hosts area events. Outside the Coliseum is a locomotive engine and a small restored historic village. Also located in Snyder is the Diamond M Museum. Established by local oilman and rancher Clarence T. McLaughlin, the museum houses over eighty bronze works and two hundred paintings. Among the collection are works by Peter Hurd and Andrew Wyeth. We have every portable building in stock and ready to deliver. If you are in Snyder, or anywhere in Texas, and are looking for a shed, storage building, garage, barn, playhouse, or cabin, we have it! If we don't have it we can build it. Our factory in Uvalde, Texas is very close to Snyder, Texas. Free delivery within 50 miles of Snyder, Texas!